'Thank Art' drawing event as part of the 'Take Up Space' Exhibition and Event, celebrating 100 years since the partial vote for women was passed into law. The event took place on Saturday 3 March 2018. 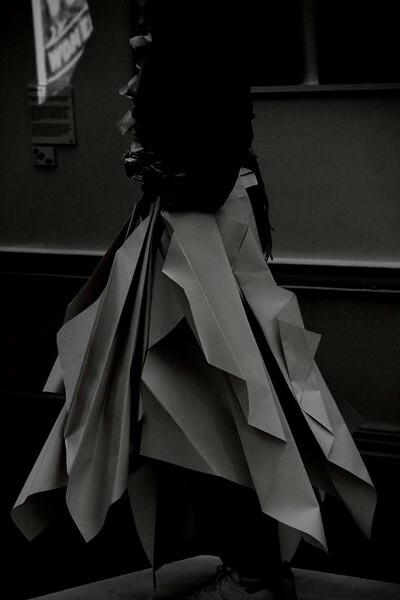 A Level Textiles students from Holy Cross College designed, constructed and modelled wearable paper garments. 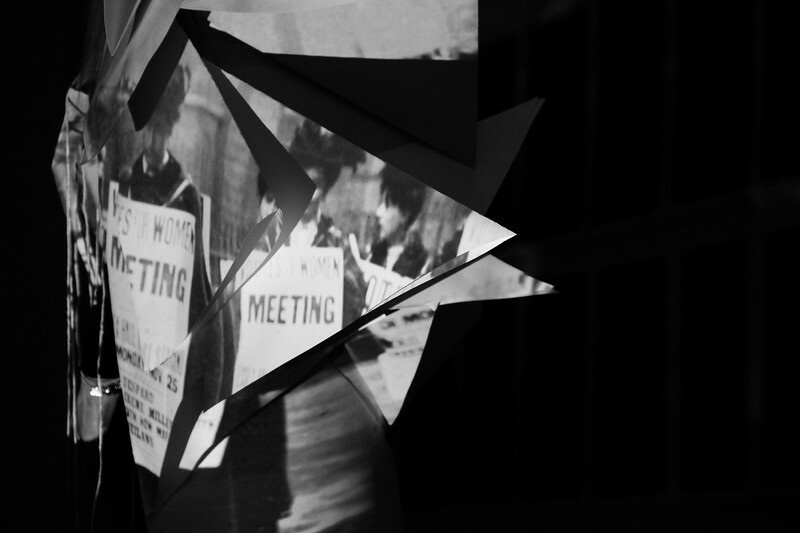 The brief involved interpreting simple forms into white constructions; abstraction and layering were key concepts, these then acted as a canvas for projections related to the exhibition theme. Thanks to all involved.